Gift Bag or No Gift Bag? 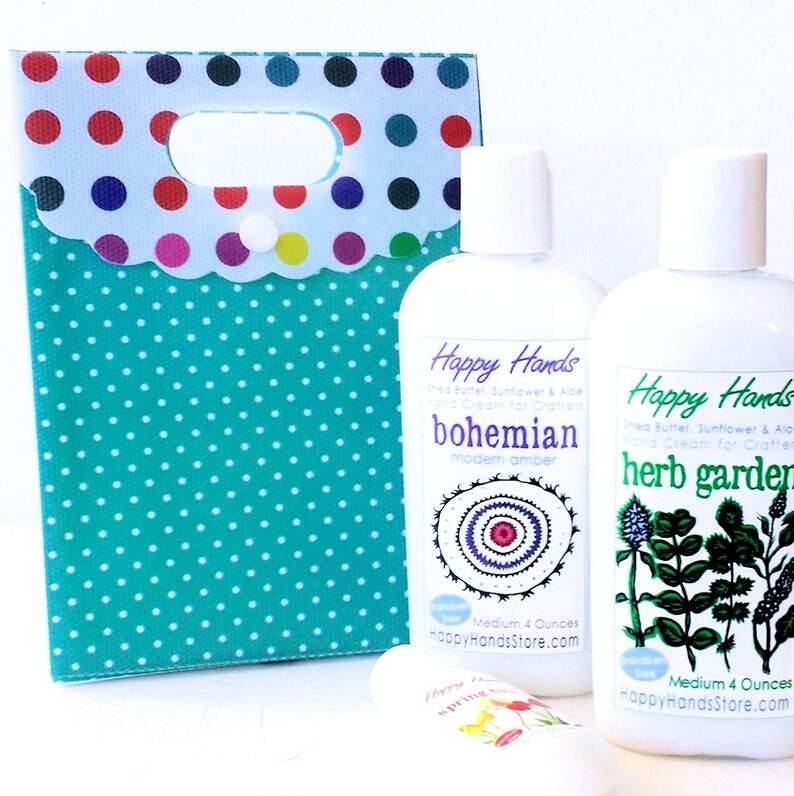 Here's a sweet gift for any knitter or crafter: your lucky recipient will get *two* Medium 4-ounce bottles of Happy Hands hand cream, plus a *free* 1-ounce refillable Tottle bottle, all in scents of your choice. The set comes in a pretty aqua blue reusable snap-top gift bag, decorated with cheerful multi-colored polka dots. Or, no shame in getting a treat for yourself: if you'd rather not have the gift bag & tissue paper, just the hand cream, choose the "No Gift Bag" option and save $1.25 on your purchase! It’s always a pleasure for both my hands and my nose. I haven’t tried a fragrance that I didn’t like. I’m finally branching out and ordering bottles instead of sample packs (best way to experience all of the awesome scents). Amazing customer service and lotion! Love these lotions! Fast shipping too.